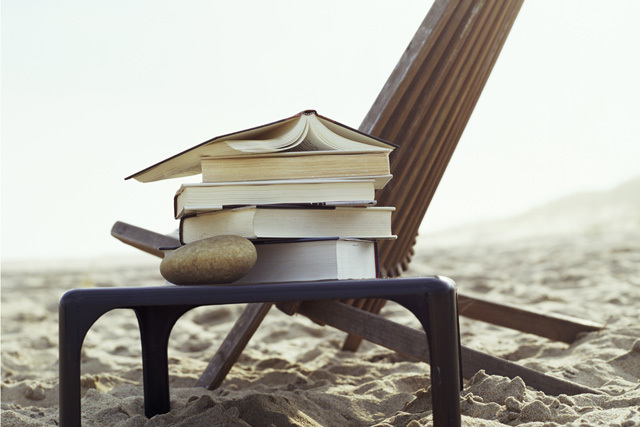 Are you the type to 'unwind' on the beach with a branding textbook or a cheesy pop collection? Here, five adlanders reveal the books they're packing and the tunes they're uploading for their summer holidays. Off to Madeira for a fortnight, a destination chosen for its complete absence of beaches, nightlife or young people, with their frightening piercings and bloop-de-bloop music. I find the Portuguese eminently civilised, being less excitable than your typical continental, and, as they have been in military alliance with Blighty since 1386, you're less likely to end up dangling from a lamppost than in many of these Johnny Foreigner places. Friendly as the locals are, however, when you make your way to Reid's Palace for kedgeree and tea made with boiling water, it's good to carry a book or two, especially for days when the airport's closed and you can't get the Daily Mail. Good To Be God by Tibor Fischer. This will probably not be as good as The Thought Gang or Under The Frog - but what is? Flat Earth News by Nick Davies. Whatever his political animus, I cannot but admire someone who persisted so long before being proved right, so I'll catch up on his back catalogue. Finally, I shall also catch up on anything I have missed by Paul Ormerod and Tim Harford. But, let's be honest, this whole idea of "planning your holiday reading" and "what books to pack for the beach?" is a journalistic convention with no remaining basis in reality. I shall be staying in a place with wi-fi, and I shall therefore decide what to read and what music to listen to on the spur of the moment. The real question is an ethical one. Should I download illegal copies of the latest Curb Your Enthusiasm and season two of The Killing, or should I wait six months and then pay? I will be "relaxing" with the family in California, so the non-work book will be a California classic. Perhaps The Day Of The Locust by Nathanael West. On the other hand, it's a bit noir. I'll settle for the latest Bond, Carte Blanche by Jeffrey Deaver. I travel and eat a lot in my job so I'm allowed to take AA Gill Is Away as a work book. It's an account of trips abroad. "Monaco is the lid to its own cavernous, bubbling, torpid septic tank. It's the stink of consumption and corruption" -just to give you a flavour. Actually, I don't really do work books, so I asked Rita Clifton over lunch the other day what she would recommend. Evan Davis' latest, Made In Britain, was the answer. It's a state-of-the-nation thing but pleasantly and surprisingly optimistic. Which leaves the iPod. I'm wary of listening to it while nodding off on the beach in case I start making whale-like noises listening to Radiohead's Street Spirit. So there's your answer - out-of-date and very out-of-date popular music. For a wistful and directionless take on life, Haruki Murakami's After Dark. I love the fact that he sold his jazz bar in Kyoto to become a full-time writer. This is a haunting story of a chance encounter in a train station cafe between a young musician and a fidgety girl, while her sister lies in a coma and a Chinese prostitute intrudes for advice. Short but intense. For a hoot (and those who loved Liz Lemon in 30 Rock), Tina Fey's Bossypants. "Once in a generation, a woman comes along who changes everything. Tina Fey is not that woman, but she met that woman once and acted weird around her." Exactly. For seriously challenging your assumptions about what could make your agency more successful, Karl E Weick's Managing The Unexpected. Why do some businesses perform so much better than others in the face of great uncertainty? Read this to go broad through hurricanes and power-plant crises. Or to narrow down to practical watch-outs and tips relevant for a creative service industry such as ours, where surprise and sudden attack is a regular feature. And for my iPod: My 14-year-old daughter, Ishtar, made a playlist for me to take to Cannes, banning Elvis and substituting him with: Airplanes by B.o.B featuring Hayley Williams, Coming Home by Diddy Dirty Money and Skylar Grey, Num-ber 1 by Tinchy Stryder featuring N-Dubz and Higher by The Saturdays featuring Flo Rida. Having two children under the age of five, and a Greek wife, it is very unlikely that I will even get a moment to read the back covers. But that won't stop me trying. The first book that is coming on the journey is called Reality Is Broken by Jane McGonigal. McGonigal explores the emerging area of "gamification" - the use of game mechanics in order to foster rampant engagement and change society. Everyone should read this. The second book to make the cut is How Brands Grow by Byron Sharp. This book covers most of the significant insights that have emerged from the Ehrenberg-Bass Institute and dispels many marketing myths. Everyone in marketing should read this. The final book that will see some sand will be The Idle Parent by Tom Hodgkinson, who argues that we should stop trying so hard and, instead, leave the little buggers alone. Everyone with kids should read this. His logic may help me win a greater share of the arguments I will face. Arguments that I will attempt to drown out with Moby's brilliant new album, Destroyed. Everyone that looks like Moby should buy this. Since having my son, Tate, last year, I have barely had time to pick up a book, let alone read one - with the exception of Peppa Pig and Postman Pat. Currently lying by my bed, untouched, is Tina Fey's new memoir, Bossypants. I love her dry, sarcastic wit and I know without picking it up that it's going to be impossibly funny. I plan on taking it on holiday to France with me this summer, along with - cliched, I know - Hegarty On Advertising. It's meant to be a fantastic read, unless you like tissue meetings. Whether I get the chance to read about "blorft" (Fey's made-up adjective meaning "completely overwhelmed but proceeding as if everything is fine and reacting to the stress with the torpor of a possum") and the moment Nick Kamen stripped down to his boxer shorts in a laundrette, in between Tate's squeals for the irritating anthropomorphic sow, is another thing. After a brilliant night with some of our loveliest clients at Take That last month, my iPod album of choice has to be Never Forget: The Ultimate Collection. Close-Up: How does adland relax on the beach?